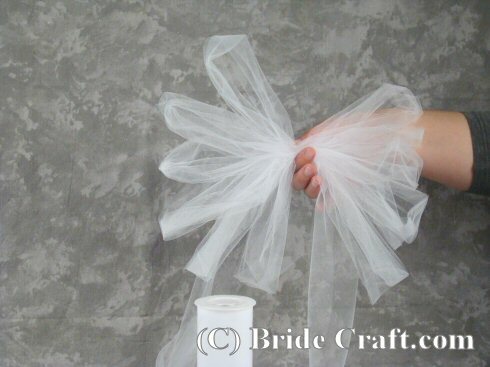 Create Tulle Pew Bow Decorations for Your Wedding! 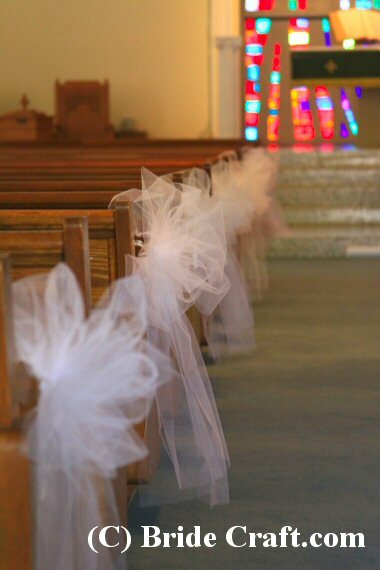 Are you craving the light, airy and oh-so-bridal look of flowing tulle pew bows decorating your wedding aisle? Not loving the price that your decorator wants to charge for them? Then you should definately check out this tutorial. 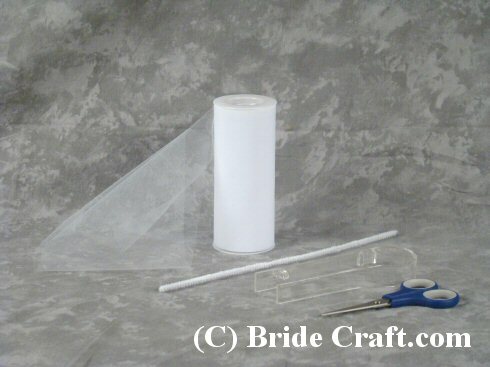 Below you will find step-by-step instructions for creating beautiful tulle pew bows yourself. Pros: A super simple project, with supplies being fairly reasonably priced. These can be done way in advanced, and aren't too much trouble to store. Cons: Not every house of worship has pews or chairs that will work with a pew clip. In the event that they don't, you might have to get creative with attaching the bows. Another con? If done incorrectly, tulle can become very 80's. Don't go overkill. 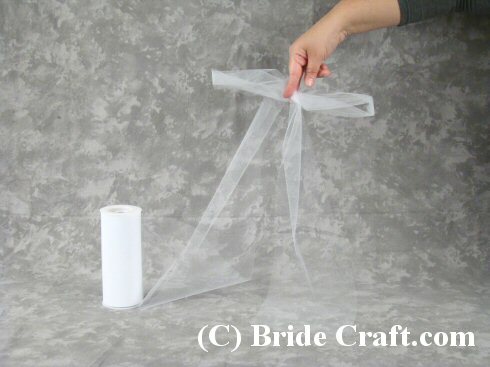 Step 1: To create your tulle bows you will need a roll tulle approximately 6 inches wide, a stem of chenille (aka fuzzy craft wire), sharp scissors and a plastic pew clip. 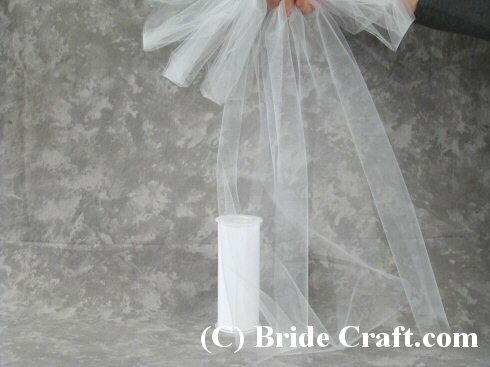 Step 2: Take the end of the tulle roll and stretch out a portion of the material. This will create the “tail” of the bow. Step 3: Hold firmly to area where you would like the “tail” to end by pinching the material between two fingers. Create a loop on each side of the pinch, as shown. Step 4: Proceed to create loops on each side until there are 6 loops on each side. Tip: Want a fuller bow? 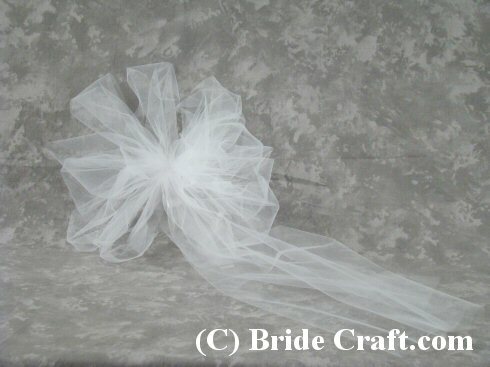 Keep adding loops to achieve a fuller tulle pew bow. 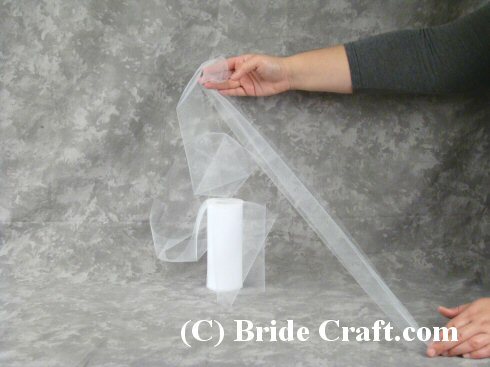 Step 5: After you’ve pinched your last loop in the middle, pull down another length of tulle from the roll until you have two equally sized tails and trim the tulle as desired. 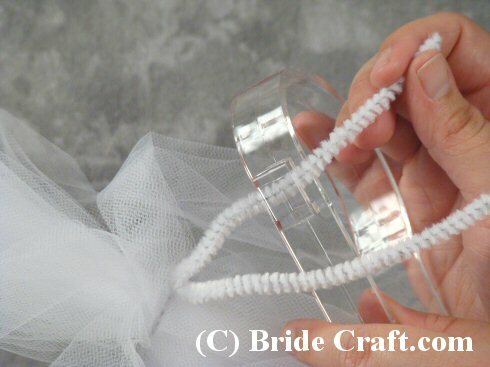 Step 6: Take your chenille and twist it in the center of your loops, securing the tulle bow together. 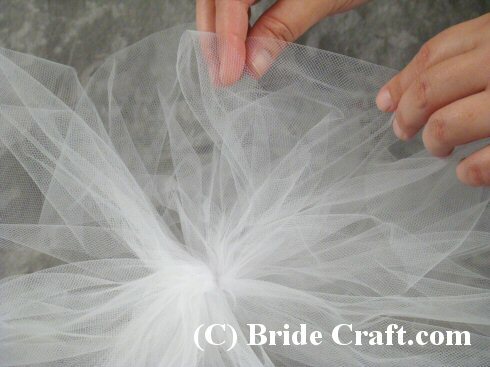 Make sure to do this tightly as a loose twist could allow the tulle to get pulled out of form when you fluff the bow. Step 7: Proceed to pull your craft wire through the plastic pew clip’s opening. Make sure that as you are securing the bow to the pew clip that it goes on tightly and sits centered in the front of the clip. Step 8: Begin fluffing your bow! Take each loop and begin tugging the material until it is expanded and no longer crunched together. Do this gently so that you can avoid creating holes in the material. 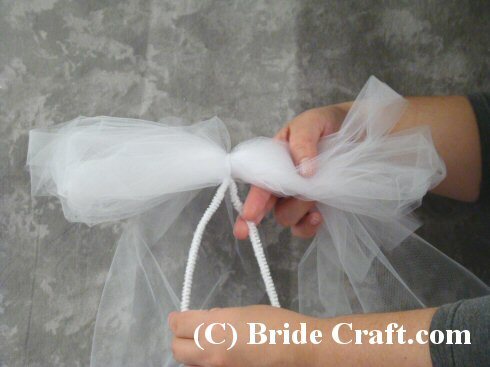 Step 9: And you have created your tulle pew bow! Proceed to make as many bows as your heart desires. Store on hangers in the closet until wedding day.